Trabasack Mini Laptray And Bag For People On The Go. 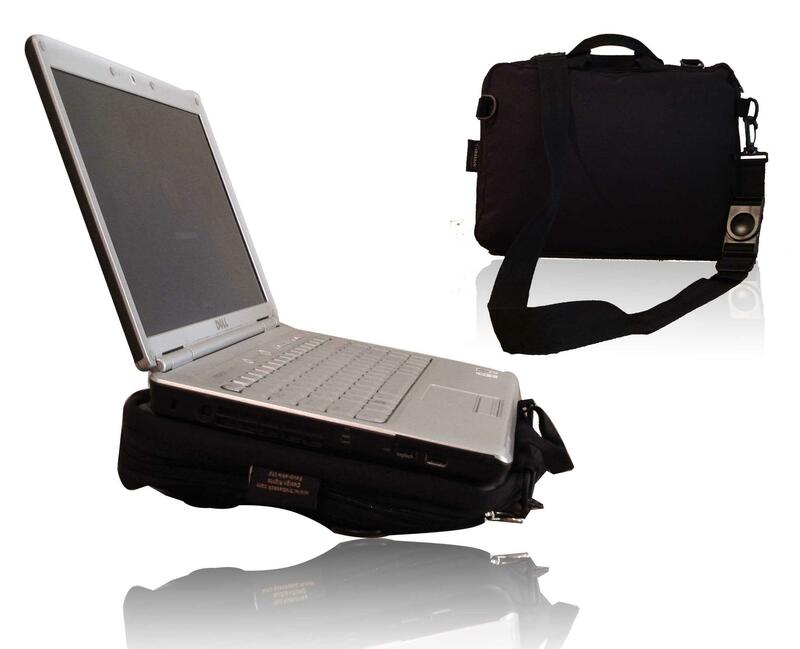 The Trabasack Mini is an innovative, award winning travel bag combined with a versatile lap desk. Weighing-in at only 700g, the Mini model is a compact, lightweight version of the original Trabasack lap desk bag, designed specifically with space-saving and practicality in mind. 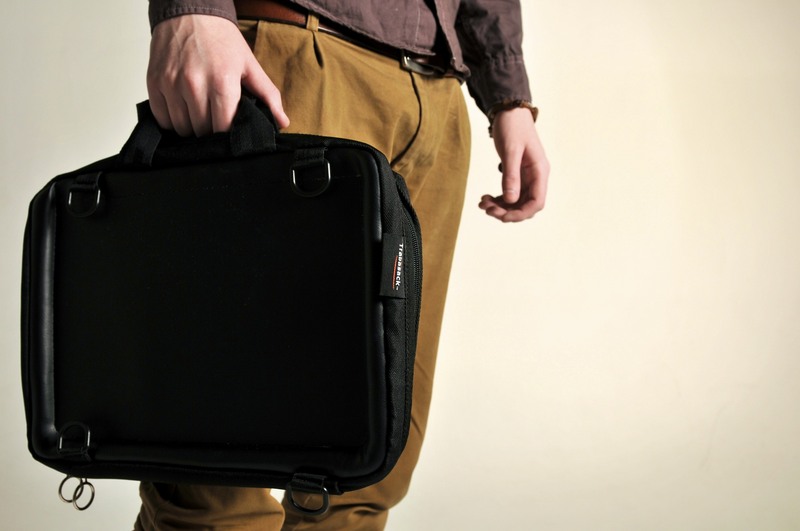 Each Trabasack Mini features a black leather-look tray on one side - a solid, flat surface perfect for writing, sketching or utilising mobile computing equipment, and the bag can hold laptops up to 14", iPads, netbooks and other compact computers. The Trabasack Mini can also be opened out flat when fully unzipped, to provide even further work space, and includes an internal zip pocket, suitable for small personal items such as mobile phones, wallets and keys. The soft, padded interior provides the maximum protection for electronic equipment, and is ideal for use as a business or work bag to ensure items remain safe whilst commuting. The Trabasack Mini can be worn in a number of stylish and practical ways, utilising the two long straps provided with each bag. The straps can be attached and removed with ease to allow use as either a briefcase, satchel, messenger bag or rucksack.